The pure Sassovivo’s water was thought to have healing properties since the 1800s when the fonts surrounding areas were populated by men and women which were used to balance pitchers of water, basket full of bottles or even barrels right on top of their heads, to carry the precious water. Mules were used as well in order to bring the water back to the surrounding villages for domestic and healing use. In 1904, Doctor Massenzi was induced by the facts above to believe that these waters may have had thaumaturgical qualities. The Doctor soon requested an analysis of the watwer. 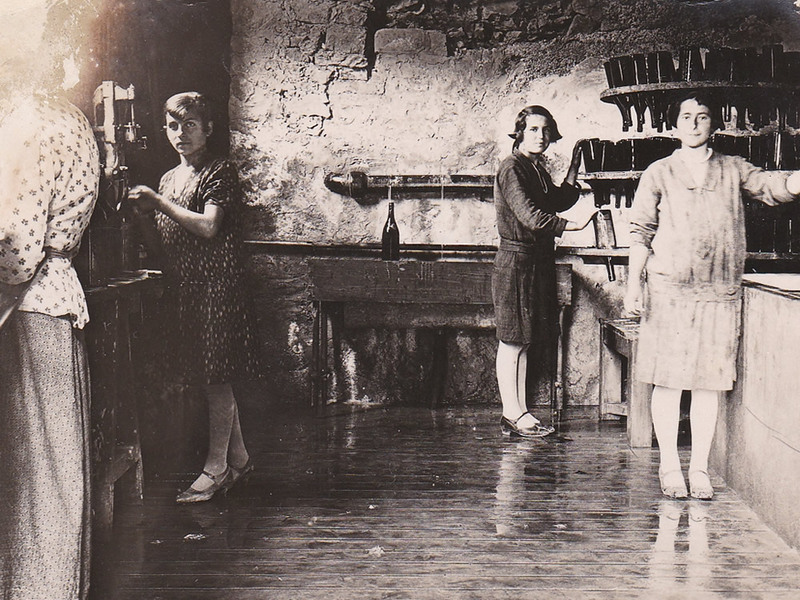 On March 14th, 1905, Professor Giuseppe Bellucci of the University of Perugia describes the Sassovivo’s Water like an alkaline water with therapeutic qualities and a low solid residue. The water’s characteristics still persist to this day. 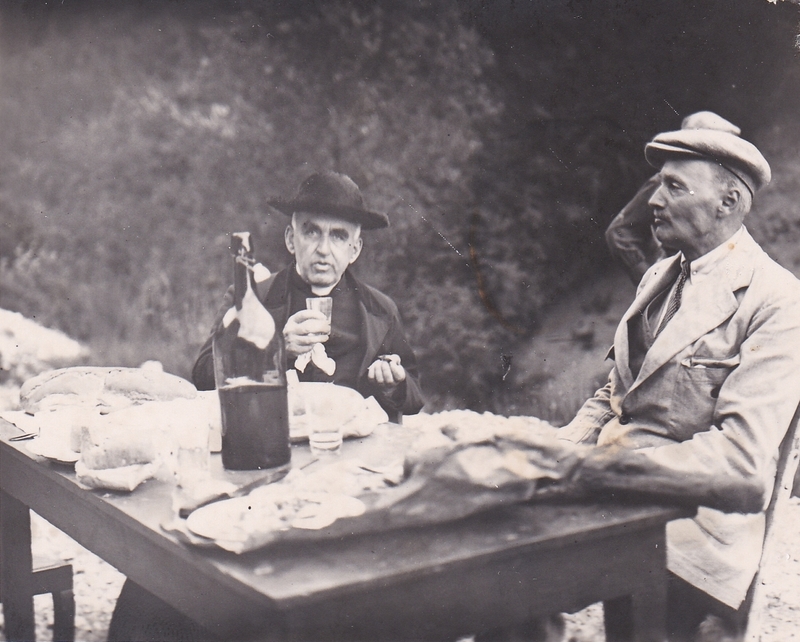 Doctor Alfredo Massenzi along with Monsignor Faloci Pulignani near the springs. 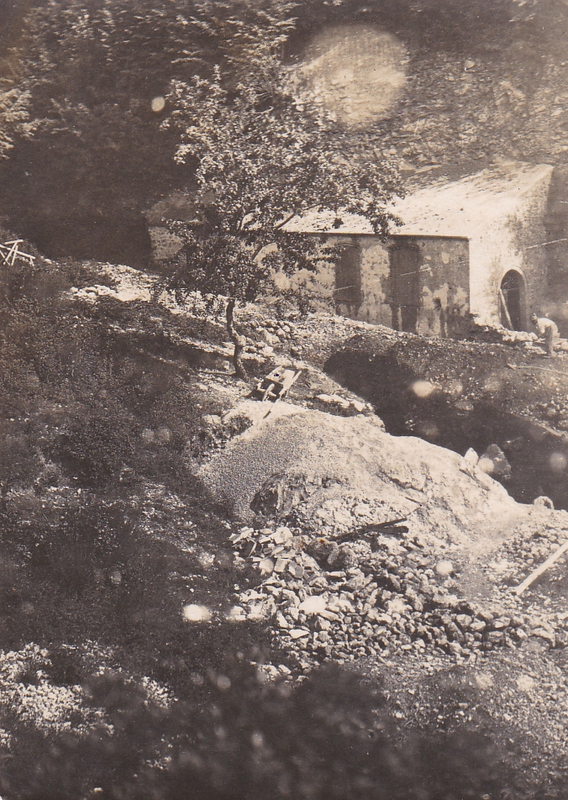 The first facility protecting the Grotta dell’orso (Bear’s cave). 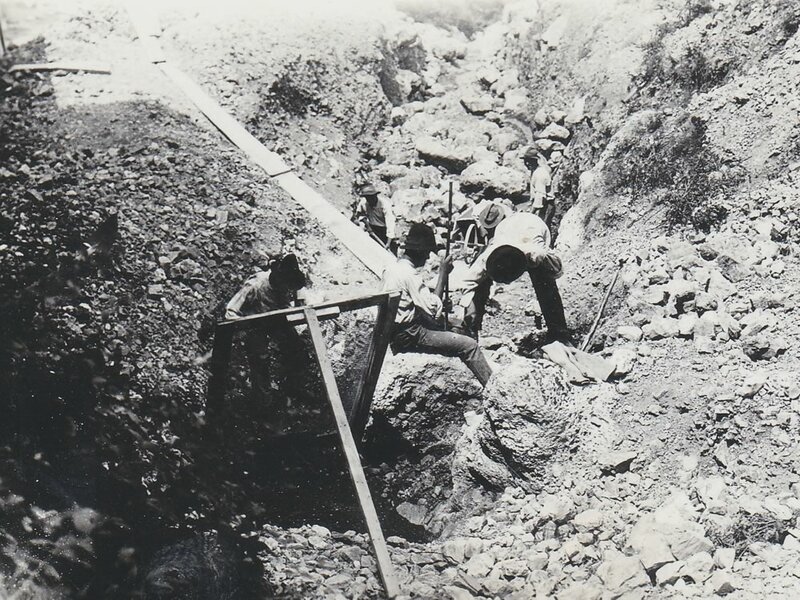 the construction site of the spring’s lot, early 1900s. A symbolic place for Foligno. n 1927 a plaque was mounted over the door of the small shelter build around the spring to mark the official beginning of the controlled use of the water. 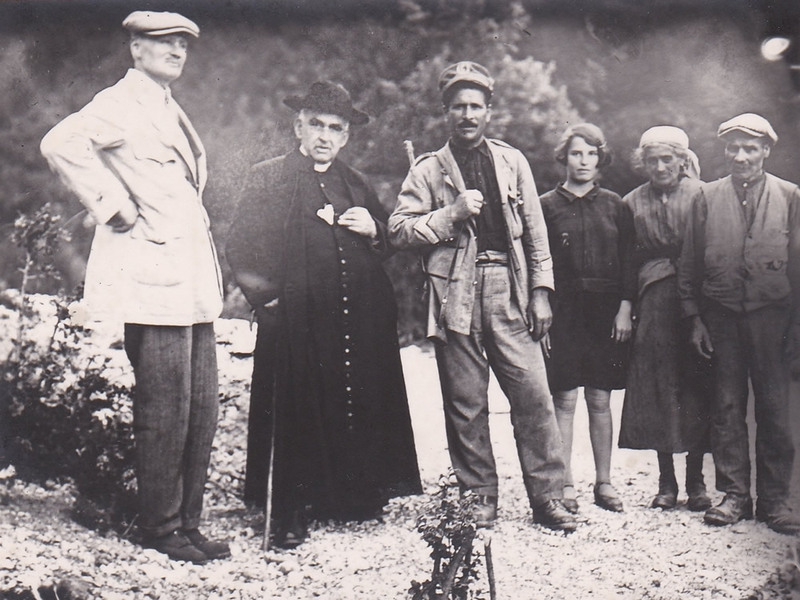 On May 28, 1928, Dr. Alfredo Massenzi and his three sons, Gabriele Francesco and Evelino, obtained the perpetual concession of the spring located in Sassovivo of Foligno. 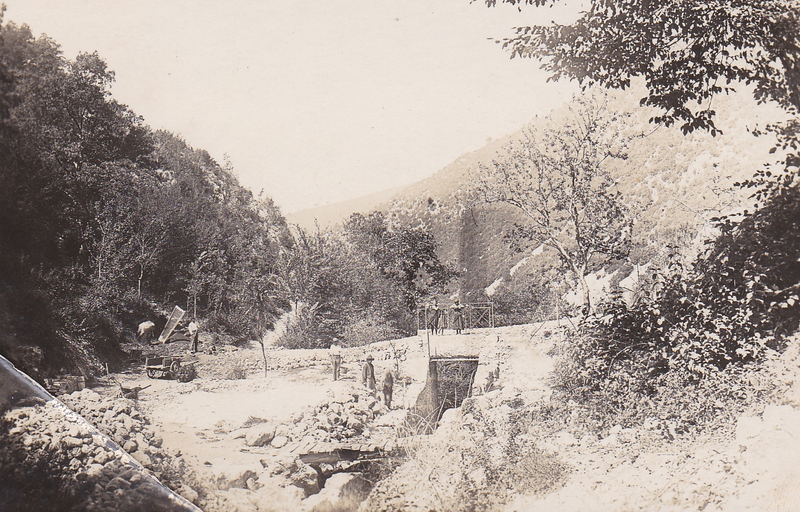 The area of ​​the springs was, therefore, made accessible to all and for decades will be a symbolic place for the city and citizens of Foligno.